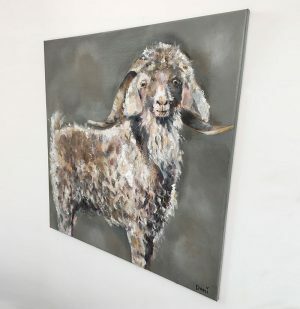 I love painting goats in my London studio. 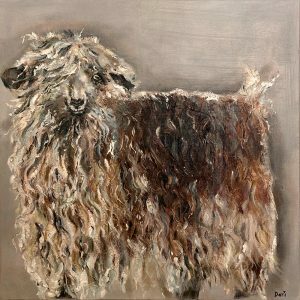 I enjoy trying to capture their personalities, exploring the essence of the animal with paint and mixed media. 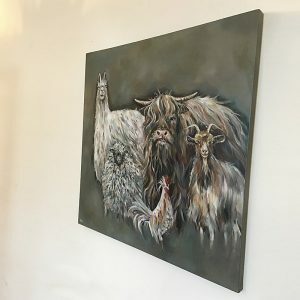 My love of Goats originated from a visit to my local farm with my three young children. Goats have the ability to hold ones attention from the very first gaze. 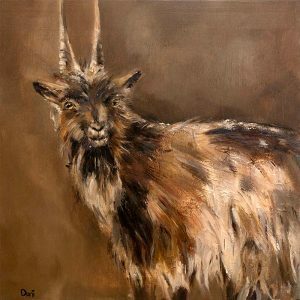 I find goats beguiling and entrancing. 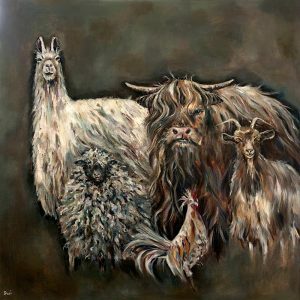 With such expressive faces, and intelligent traits, they make for a fascinating subject to paint. 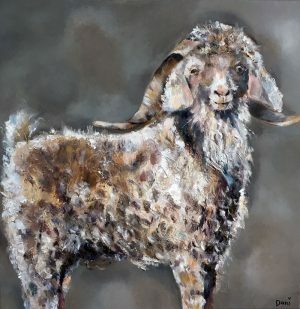 There are so many different and unique species of goats to paint, from the long haired Anglo-Nubian goat, to the curly wire haired Angora goat, each with an animated character and oodles of personality, its such fun capturing their distinctiveness in a painting. 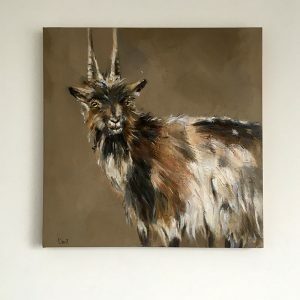 Below is a selection of my latest goat paintings. 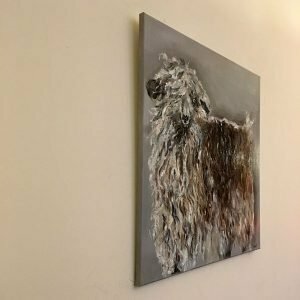 If you are interested in commissioning me to paint your furry friend, please contact me at my London studio.